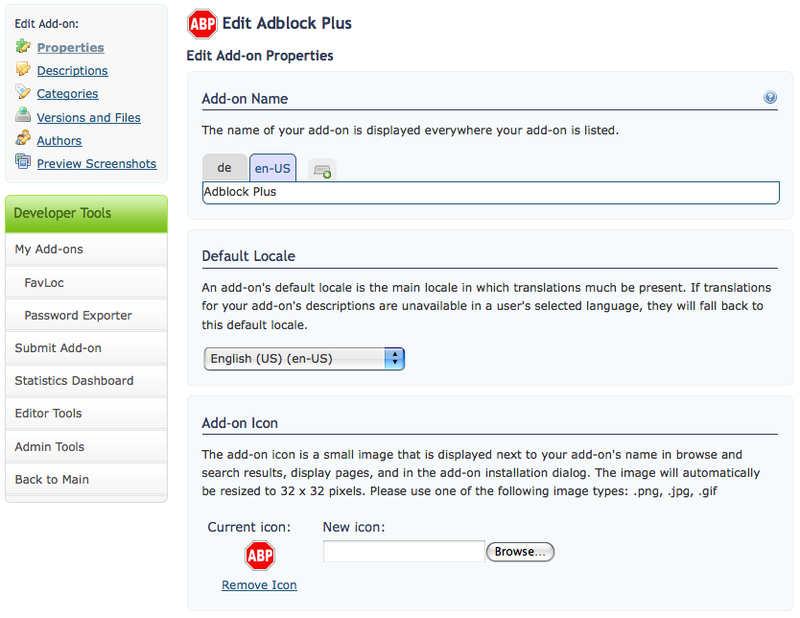 The new Edit Properties page of the AMO Developer Tools area is where the main settings of an add-on can be configured. 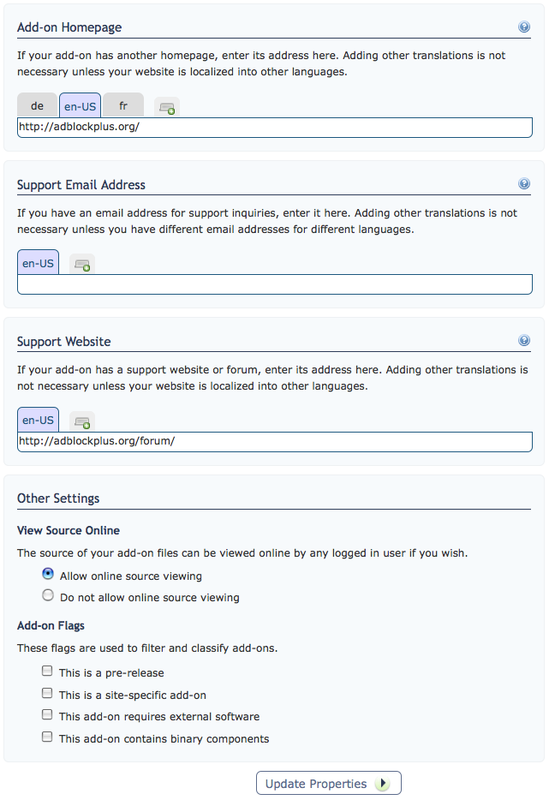 The available fields on this new page are: Add-on Name, Default Locale, Add-on Icon, Homepage, Support Email Address and Website, and other add-on flags such as viewing the source online. These fields were previously mixed in the single edit add-on page. The only new field for this page is a flag for add-ons that contain binary components. The localizable Add-on Name, homepage, and support fields were previously on the Edit Descriptions page, but were moved here where they make more sense. One of the biggest wins of the new layout is the explanation of what each field does, consistent with the rest of the revamp. If you have any feedback, please comment here or in the bug.